Ok, this is officially the last one in my series of photos about the Wellington Monument. I am going to keep this one short and sweet, I’m breaking the mould here with a lovely sugary sweet story about the funny things that little kids say sometimes. I tend to keep these kind of things out of the blog, everybody’s kids say funny things so it’s really nothing new for mine to do it. So, here’s how the story goes. We are down in IMMA playing in the gardens one day, that’s the Royal Hospital Kilmainham in case you are wondering. From the gardens you can see the Wellington Monument rising up into the sky. I was simply testing my three year olds memory and asked him what was the name of that giant thing over there amongst the trees. He replies “It’s the Boot Monument Daddy”, I must admit I was a tad disappointed that he didn’t remember what it was called, trust me I tell him enough times the poor little fella. We tend to visit the park quite a lot, I always feel I could be missing something if I don’t visit the place at least once a week. Anyway, back to the main story. So I don’t tell him he is actually wrong I just tell him “Good guess but it’s actually the Wellington Monument” and we move on. A few minutes later I ask him again, he pauses looks over at the big stone structure and informs me yet again “It’s the Boot Monument”. I simply have an internal sigh and we just move on with no more comments. A few minutes later I finally realise what he is doing, pat him on the head with one of those “I’m so proud of you son” looks on my face and tell him “You are right son, it is called the Boot Monument”. I hope it doesn’t take you as long as I took to realise the crazy [but superb] logic that was going on in his head. Now, that’s the fluffy feel good post out of the way for the year. 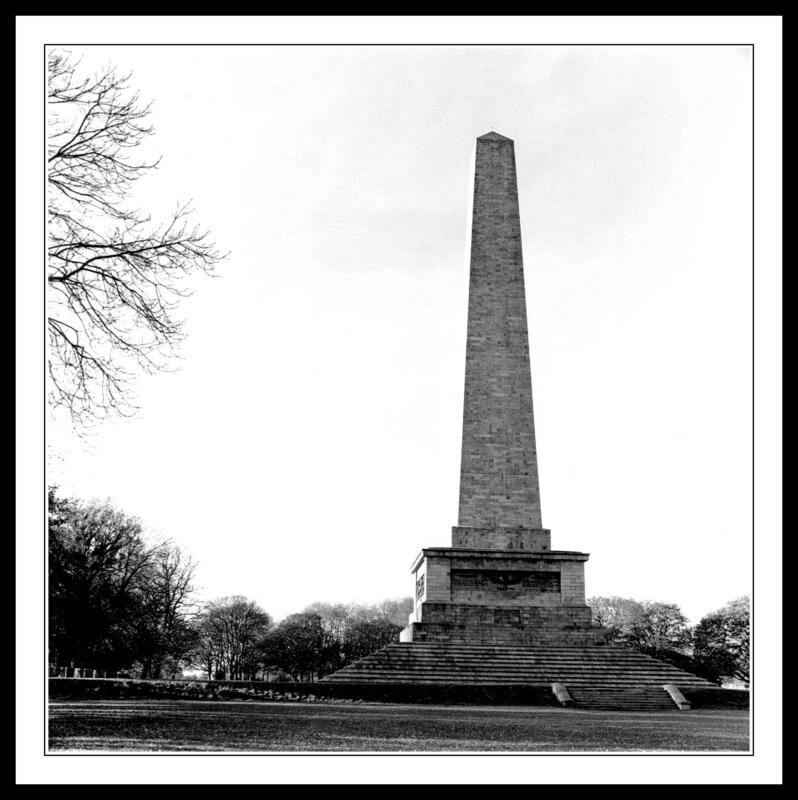 This entry was posted in Black and White Photography, Film Photography, Irish Landscapes, Phoenix Park, Photography and tagged Black and White Photography, bronica medium format, Film Photography, Kodak Tri-x, Medium Format, medium format camera, Phoenix Park, Photography. Bookmark the permalink. Reblogged this on MY BLOG ~. You can even make a plain monument look good. It only came about after many years of torture and wasted film. At least I have a shot I am finally happy with. Thanks for visiting, and for all your other lovely comments, I really appreciate it.